Jon Villanova and Barbara Fraser with buyers Veronika and Deiter Burmeister. 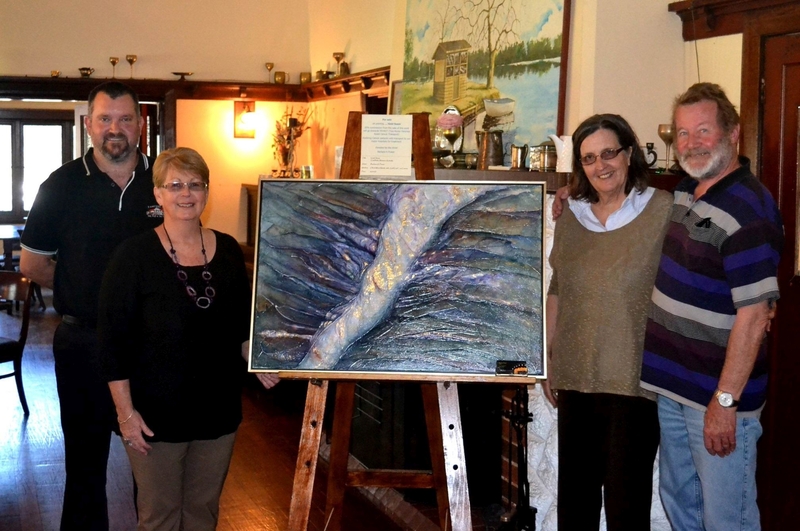 The Yanchep resident displayed her painting ‘gold seam‘ at Yanchep Inn recently, an interpretation of the industry that thrived in her home town and surrounding areas such as Coolgardie, Kalgoorlie and Boulder. ‘This part of the country is where I developed a love for the bush and watched my uncle prospect for alluvial gold,’ she said. Fraser said she sold the painting, with $120 of the proceeds going to the Two Rocks Yanchep Assisted Cancer Travels group.